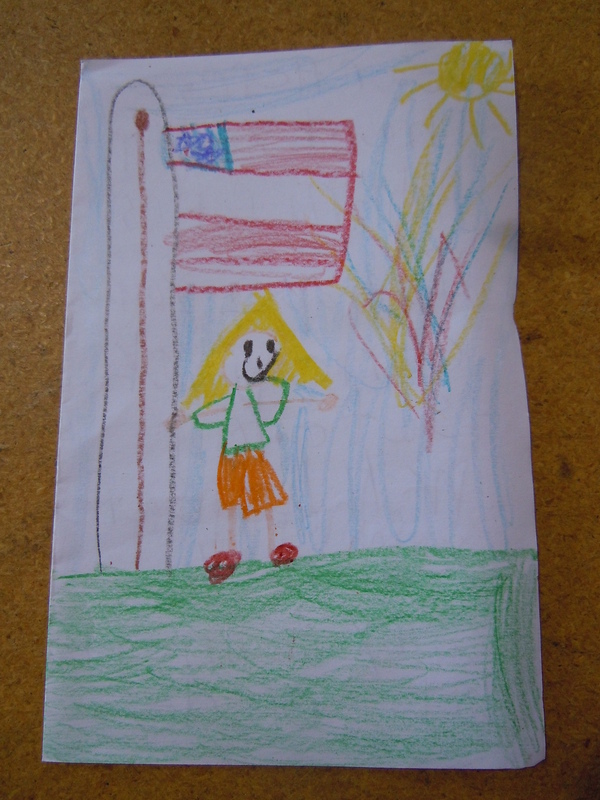 Precious Treasures: Letters from Kids! Sure, they definitely appreciate the coffee, snacks, DVDs and all the other goodies we pack into their boxes, but the items that have the most lasting impact on these men and women so far from home are the simple drawings and letters of thanks sent from these young Americans they may never meet face-to-face. 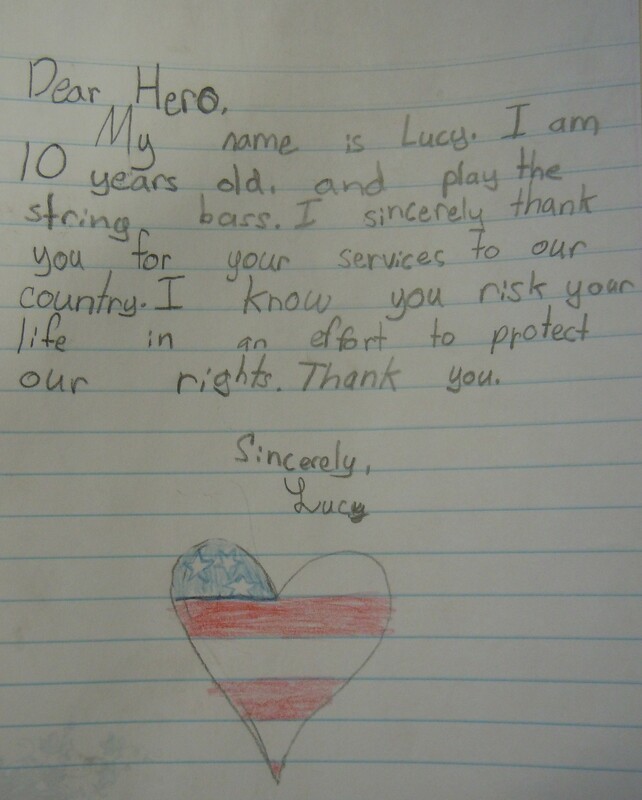 What is wonderful is that writing to the troops is something we all can do! We invite students, parents and teachers, as well as scout, youth and community group leaders to organize letter-writing projects so we can be sure to include several of these precious treasures in each of the care packages we send. Want more information? Please sign-up here to receive information, instructions and details — plus flyers to download, print out and use as a helpful resource. 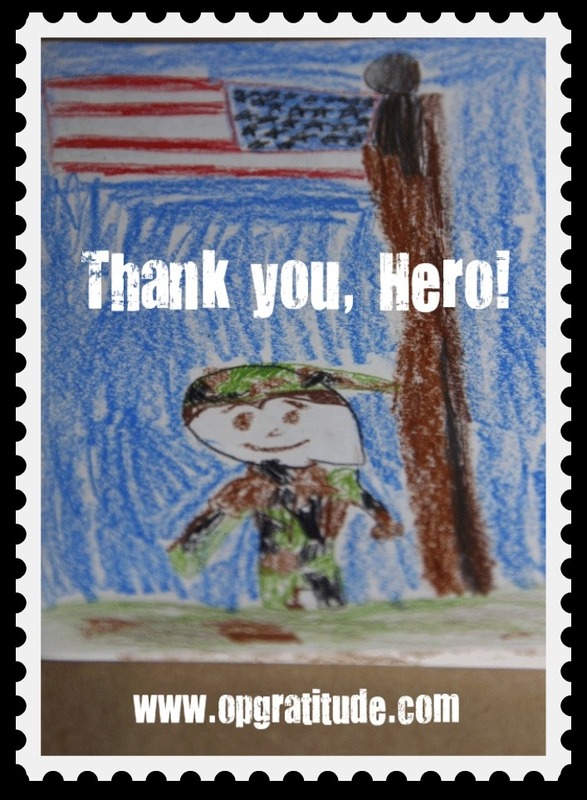 THANK YOU for your support of the troops — your thoughtfulness and generosity goes a long way in helping to bring a smile to each of their faces! Don’t forget to find us on Facebook and follow us on Instagram, Pinterest and Twitter — and please help us spread the word about what we do! This entry was posted in Uncategorized and tagged cards, care packages, children, children's artwork, community service, donate, donations, families, kids, letter-writing, letters, military, Military support, morale, parents, schools, scout leaders, scout troops, service clubs, soldiers, students, teachers, troops, volunteer, writing, youth groups. Bookmark the permalink. 10 Responses to Precious Treasures: Letters from Kids! What is the latest we can send Christmas letters to deployed service members? Our boys would like to Thank them for their service. Thank you for your support! We screen all letters we receive, so we ask holiday cards/letters be sent 2-3 months in advance. If you have additional questions, please let us know! Send an email to Info@OperationGratitude.com and we’ll respond asap.